◆ Offline translation. Most translation apps require an internet connection. Languages stores all words on the phone itself so you always have translation when you need it, whether you are traveling internationally or simply don't have a connection. ◆ Lightning fast. Start typing a few letters and boom, you already have the translation you need. ◆ Unified search. Type a word from either language and you'll get the results you want. No more switching modes. ◆ Search or browse. Search is great but sometimes it's useful and fun to explore a language by browsing through the words alphabetically. ◆ Innovative A-Z index for quick browsing. ◆ Common phrases included for most languages. ◆ Tap and hold the index to magnify the letters. ◆ Swipe to the right to search. ◆ In search, swipe to the left to go back to the dictionary. ◆ In search, swipe to the right to clear a search (much faster than reaching for the clear button). ◆ Pinch to close a language dictionary. ◆ Tap and hold to move a dictionary on the shelf. 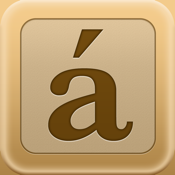 ◆ Tap a word to copy it or to jump to the main entry for that word in the dictionary. ◆ Tap the flag icon to switch the primary language. Languages is brought to you by Sonico Mobile, the leader in language translations apps, and Tapity, Inc., winner of a 2011 Apple Design Award.